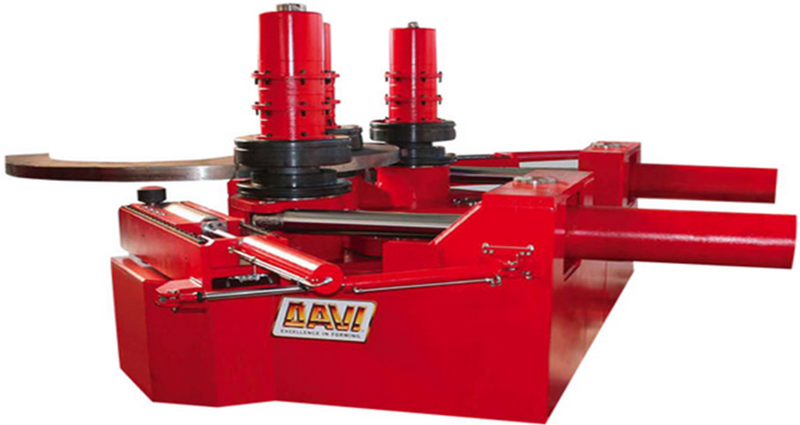 The DAVI three roll MCP section roll was engineered to answer the requirements of very demanding customers, who need to bend parts of large and extra large dimensions with very strict tolerances. In each sector of applications: from aerospace to shipyard, from automotive to structural, engineers are always proposing solutions of more sophisticated bent parts, made out of hard material that can only be obtained by bending non-standard profiles at very tight diameters with strict tolerances. - Large diameter hardened alloy steel shafts, built to grant high resistance, rotating on self-aligning roller bearings (pre-greased), to run at high efficiency with excellent performance providing virtually no-deflection at all. - Three independent hydraulic motors and three high torque planetary drives (one for each roll) are coupled directly to the rolls through a splined shaft, for a powerful torque transmission to ensure an easy feeding of the sections during the rolling phase. - Guide rolls, adjustable in three directions are activated by hydraulic cylinders, therefore controlled from the console panel. A standard feature on the complete MCP machine range. - High quality hydraulic components offer the best performance for a long duration. 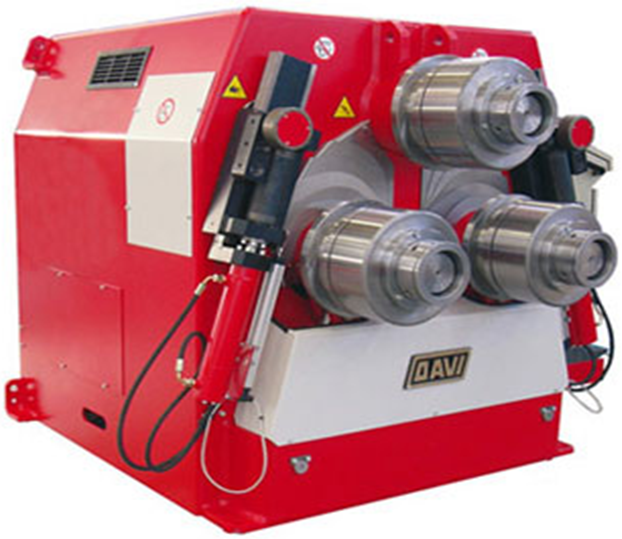 - The DAVI MCP machines are completed by a range of CNC control choices: from simplest to the most advanced for automatic production. Additional set of special rolls might be necessary to reduce physical deformations. A set of special, customized rolls, ordered on request, with additional price, that matches exactly the section shape, will minimize the distortions, allowing to achieve the best results. The above mentioned capacities are based on sections in mild steel with a maximum of 270N/mm2 of Elastic Yield Point and 400 N/mm2 UTS, rolled down to the stated diameters in one or a few passes. Capacities can be increased when rolling larger diameters. Tighter diameters can be achieved on lighter capacities**. Harder material reduces the announced capacities. *On this hollow section, due to its structural weakness, the achievable diameter depends heavily on the section distortion and deformation, rather than on the machine power. To reduce distortion it is suggested to fill up the hollow section with sand and/or to use special tools. ** For smaller sections than those listed, a set of further parts could be required (spacers and parts for the special equipment); therefore a technical analysis is recommended for a better evaluation.